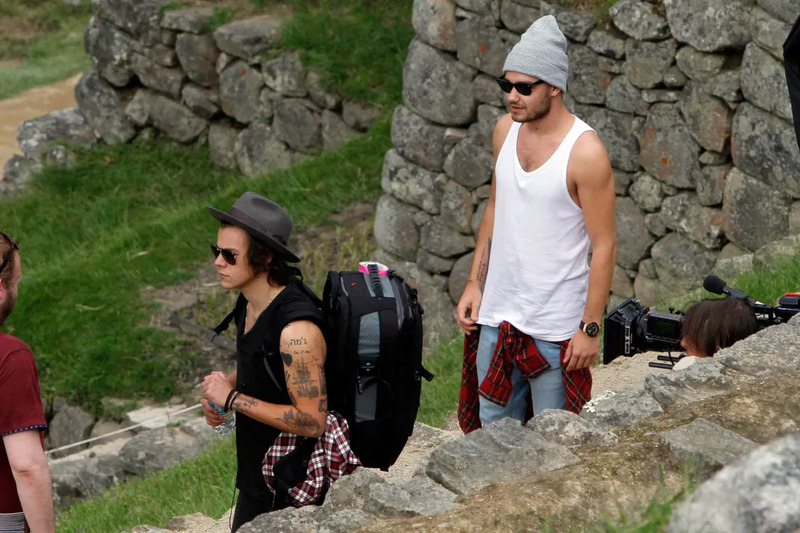 Members of the boyband One Direction, Harry Styles and Liam Payne, spent their free day visiting Machu Picchu in Peru on April 29th. Well thanks for the invite guys. Liam sported the hipster attire whereas Harry was obviously in charge of carrying the biggest bag in the whole wide world. 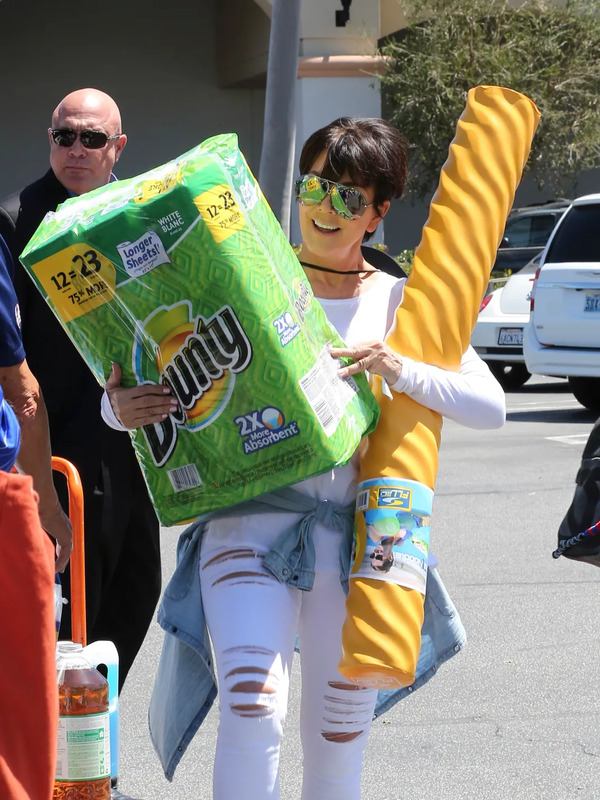 TV reality mom Kris Jenner was seen with Bruce Jenner and her daughters Kylie and Khloe at Costco while filming their show in Los Angeles, California on April 29th. That is one intense looking pool noodle. Can we borrow sometime? 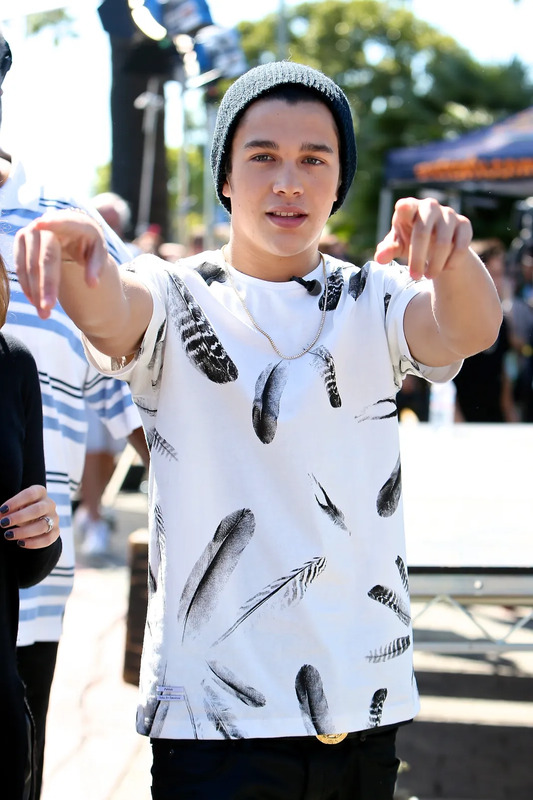 Singer Austin Mahone was on the set of Extra at Universal Studios in Los Angeles, California on April 28th. First off, we are so excited to see this interview. Second, it’s okay that we’re in love with this boy even though he’s way younger than us, right? If it’s wrong, we don’t want to be right. 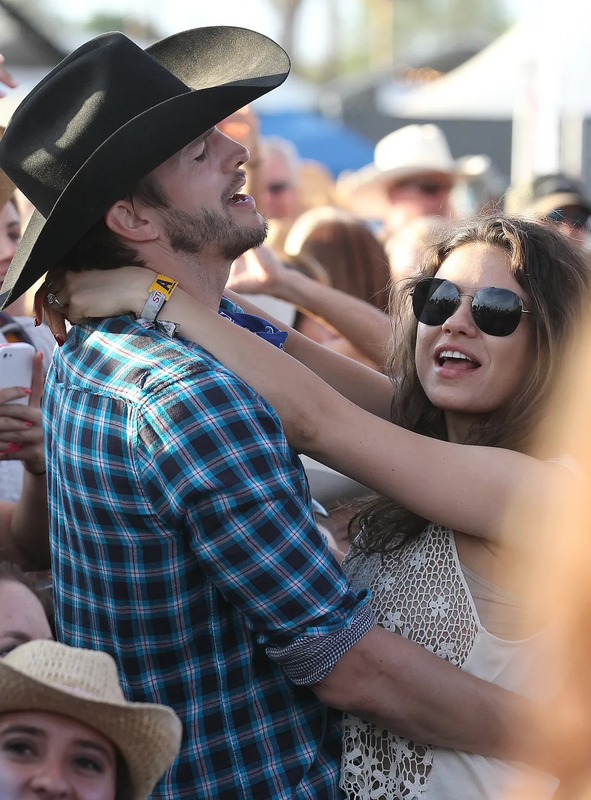 Actor Ashton Kutcher and his soon to be actress-wifey, Mila Kunis, attended the 2014 Stagecoach Festival in Indio, California on April 27th. Words can’t even express how happy we are for these two and we can’t wait for this bun to be out of the oven. 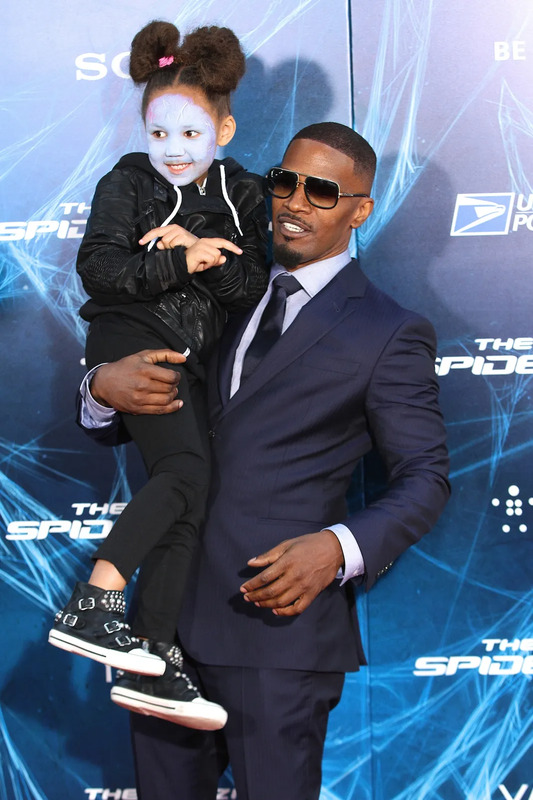 Actor Jamie Foxx brought his adorable mini-me daughter Annalise with him to the premiere of The Amazing Spider-Man 2 in New York City on April 24th. Clearly she is Electros number one fan, although she might be only a little bias. But really, she is so stinking cute! Spider-Man, I mean, actor Andrew Garfield, attended the premiere of The Amazing Spider-Man 2 in New York City on April 24th. Of course, there was an insane amount of fans waiting to meet the cast. Some were even lucky enough to have this happen to them. Swooning. Singer Taylor Swift went shopping for some flowers in Brooklyn, New York on April 23rd. Based off this pose, we guess she couldn’t find any that she liked. Sad face. At least she looked cute! Actor Zac Efron, looking perfect as always, greeted fans as he was leaving the Radio One studios in Essex, England on April 24th. Our crush on him has been going strong since the Summerland days. Singer and absolute hunk Nick Jonas went on a shopping spree at Fred Segal in Los Angeles, California on April 23rd. He needs to move back home to New York City soon so we can see this face in person again. But for now, we’ll settle for seeing it only in our dreams. Singer Katy Perry showed off her new green hair in New York City on April 23rd. She could totally pull this off and we hope she changes it around each season because we’d love to see some more colors. Work it girl! Actresses Cameron Diaz, Leslie Mann and Kate Upton appeared on Good Morning America in New York City on April 23rd. To promote their new movie The Other Woman, the girls talked about the behind the scenes stories and how close they got to one another. We want to be a part of this BFF-ness. 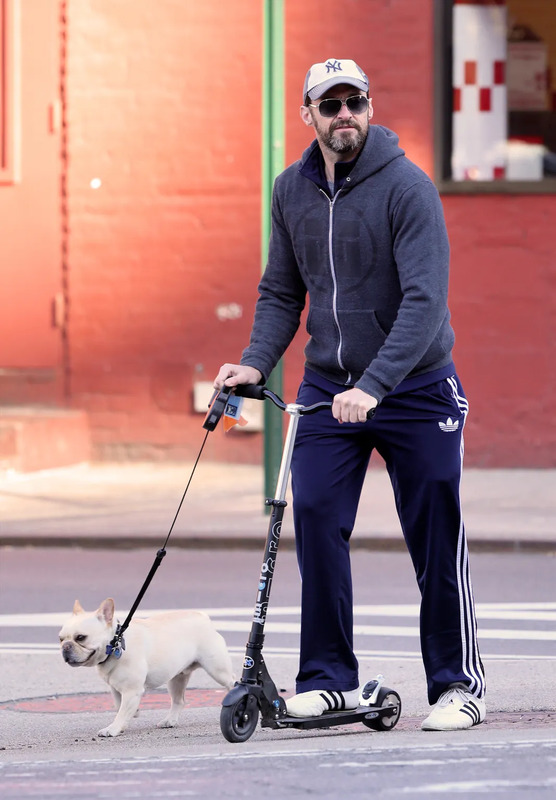 Actor Hugh Jackman cruised around New York City on his scooter on April 21st. We just know he was counting down the days until he could break this out again. It also inspires us to get one so we can walk our dogs with it because we are too lazy to walk with them. 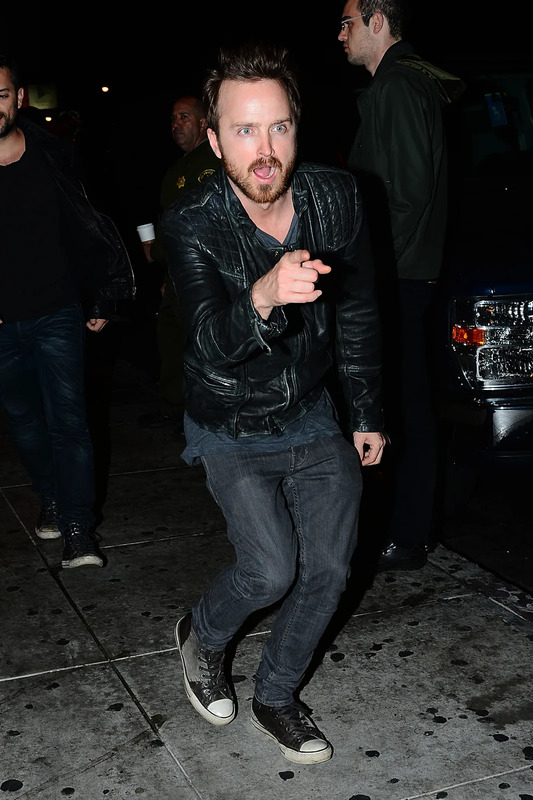 Actor Aaron Paul went to The Rainbow Room in Los Angeles, California on April 21st. As he was leaving, he strutted out like this. Does he know everybody or is he just playing around with photographers? Take it how you will. 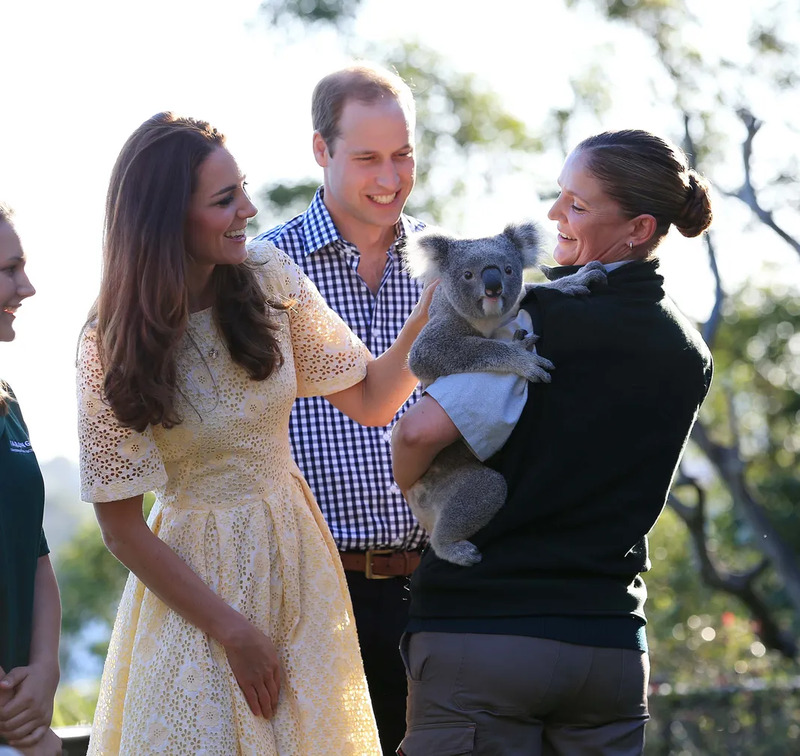 Royal power couple Prince William and Kate Middleton spent their Easter with this little furry friend in Sydney, Australia on April 20th. They totally know that the koala automatically made their Easter better than everyone else’s, and we’re so jealous about it. Singer and actress Lea Michele cruised down the street in a bikini and convertible with her rowdy crew in Palmdale, California on April 19th. Actually, she was just filming her new music video for the song On My Way, but she looks like she might be having only a little bit of fun. Can’t wait to see the full video! TV personality Joan Rivers played around with photographers outside her home in New York City on April 20th. Why someone didn’t run into these arms is beyond us. Is it weird to say we think this sassy lady would give good hugs? Judge all you want, but it’s true. Singer Demi Lovato arrived at LAX Airport in Los Angeles, California on April 20th. It also looks like all her fans were prepping for some selfies, but obviously we’d do the same. We love this girl so stinking much. 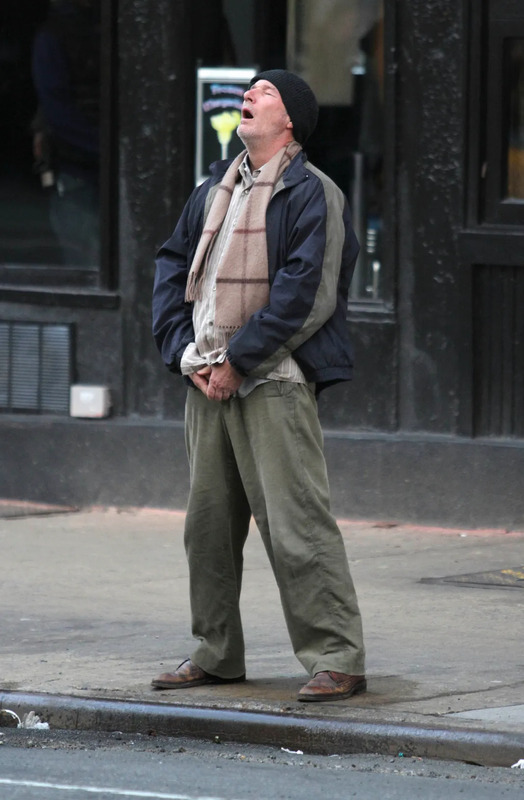 Actor Richard Gere was totally caught reliving himself on the streets on New York City on April 17th. As awkward as this would be, he was only filming his upcoming film Time Out Of Mind where he clearly plays a homeless man. Looking good Gere! Singer Cody Simpson appeared on Good Morning America in New York City on April 15th. After getting the boot on Dancing With The Stars the day before, Cody kept his chill by taking photos with fans who waited for him outside. What a sweetie. 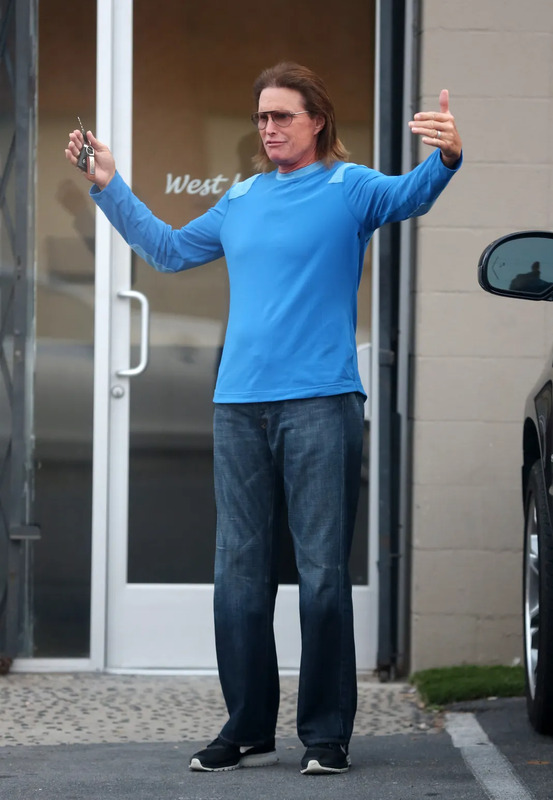 Reality TV star Bruce Jenner was seen looking pretty cool as usual at West LA Dogs in Los Angeles, California on April 15th. Not quite sure really what’s going on here, but we wouldn’t put it past him to try to pick a fight with some random bystander. Obviously we’re just kidding, it’s Bruce! Reality TV star Kendall Jenner attended the Coachella Music Festival in Indio, California on April 14th. Some girl who was a bit too high on life started to bug Kendall, and clearly she wasn’t into too it. Don’t we all wish we could have a bodyguard to keep things in line too? 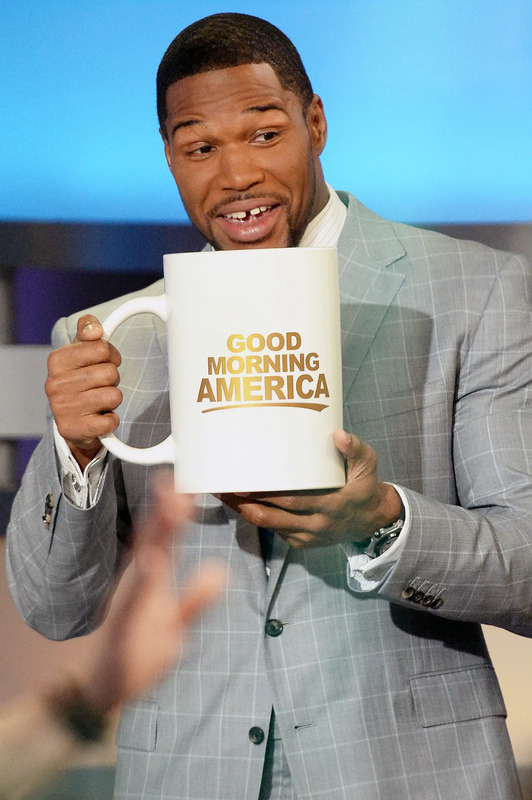 TV host Michael Strahan appeared on Good Morning America in New York City on April 15th. Now, we know he films a morning show, but if he had that much coffee, he’d probably be a bit too energetic for the rest of America. Actor Josh Duhamel and son Axl both looked adorable as ever in Brentwood, California on April 14th. The way he’s holding the baby just shows how strong he is, and we just wish he was shirtless. We aren’t even ashamed of that thought. Actor and super hunk Kellan Lutz attended the Coachella Music Festival in Indio, California on April 14th. Covered in some fresh (temporary) tattoos, he literally looked absolutely flawless. And he should also probably get a sleeve tattoo because he could so pull it off. Actress Zooey Deschanel appeared on Good Morning America to promote her new fashion line in New York City on April 14th. With a mini fashion show, she looked absolutely adorable while cheering everyone on. Is there anything this girl can’t do? Model Cara Delevingne dined out for lunch in Los Angeles, California on April 10th. She was so anxious, that she left behind her shirt. But have no fear, the nice worker in the tie is here to save the day! 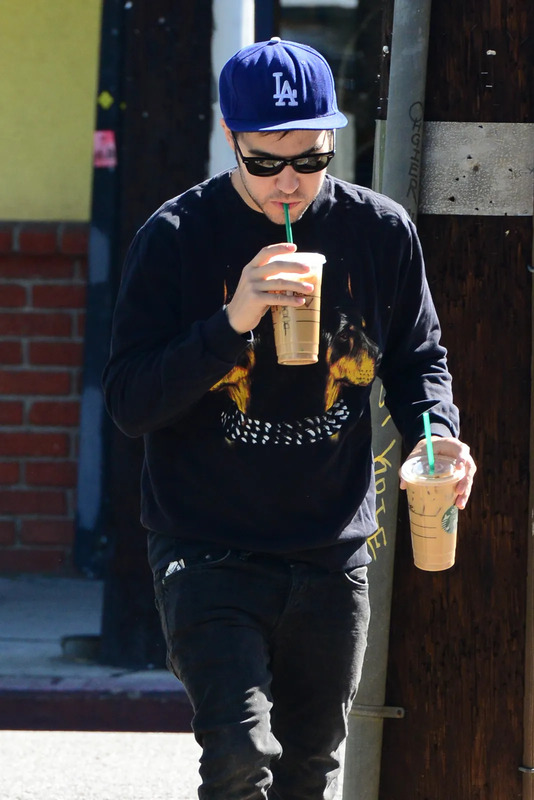 Rocker Pete Wentz grabbed some coffee from Starbucks in Los Angeles, California on April 10th. Obviously venti is the size to choose, but best of luck if those are both for him, and may the odds be ever in his favor. Actor Johnny Depp attended the premiere of Transcendence at the Regency Village Theater in Los Angeles, California on April 10th. A lucky yet kind of interesting fan decided to try her best at getting a smooch from the star. He totally went in for the kill and we all know she’s never washing her face again. Actress Kristin Chenoweth appeared on The Today Show in New York City on April 9th. There to promote the upcoming movie Rio 2, she was accompanied by some awesome birds. Maybe they’ll help bring the heat back to New York! 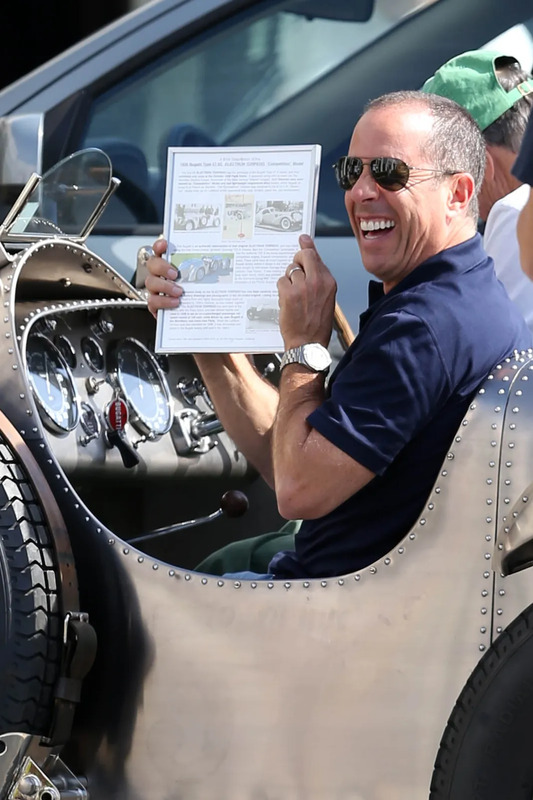 Comedian Jerry Seinfeld took a spin in a classic car in Los Angeles, California on April 8th. We have to admit, it’s a pretty awesome car, but Jerry seems completely overwhelmed with it! Take a deep breath! Actress Anna Kendrick looked absolutely thrilled as she grabbed lunch on set of Cake in Los Angeles, California on April 7th. Eating should be the most exciting part of the day! Look a little happier girl! Actress Anne Hathaway got all studios during her appearance on Good Morning America in New York City on April 8th. Why is she so perfect? Actor Rob Lowe arrived at JFK Airport in New York City on April 7th. We don’t even try hiding our love for him. This man is everything we’ve ever dreamed of and more. Singer Pharrell Williams was surprised with a belated birthday cake and confetti when he was on Good Morning America on April 7th in New York City. Coincidentally, the cake matched his outfit, and looked pretty darn yummy. Happy Birthday Pharrell! 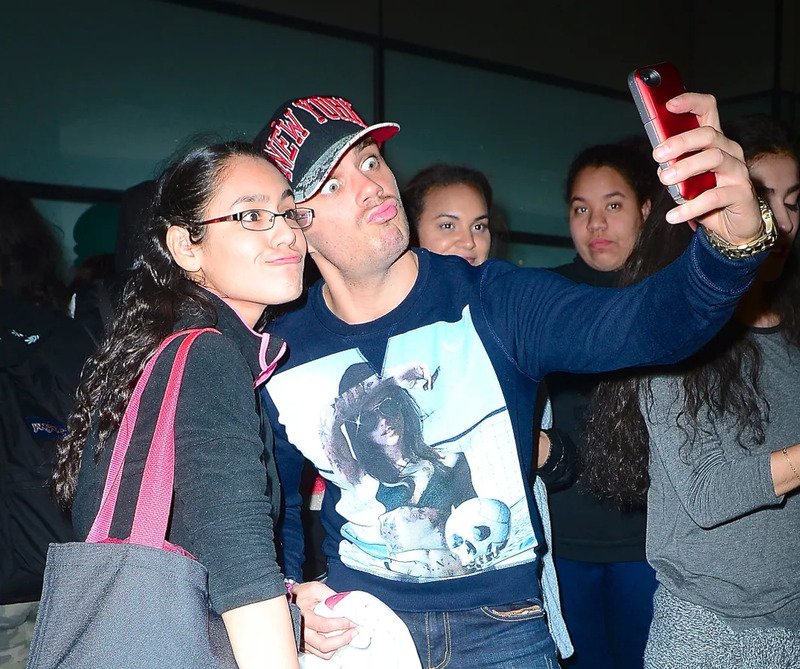 Singer and member of The Wanted, Max George, took the duck face to all extremes when he met fans in New York City on April 7th. The longer we look at this, the more scared we get. His eyes are just so white and creepy. Paris Hilton shopped at Party City in Sherman Oaks, California on April 7th. Leaving with a disco light and bubble machine, she looked a little overwhelmed with all the colorful items and balloons. That’s hot. Actor Zac Efron looked pretty flawless as always while attending the Lakers game in Los Angeles, California on April 4th. We will never ever get tired of this face. He’s such a hunk. Oprah Winfrey was off to a fundraiser in Washington D.C. on April 5th. Before heading off, she said adios to some fans, and boy, does she look excited about it. Singer Austin Mahone celebrated his 18th birthday on the beach in Miami, Florida on April 5th. So since this boy is now officially legal, is it okay for us to make public that we have the biggest crush on him? Look at that face! Singer Justin Bieber was clearly having a great time meeting some fans in Miami, Florida on April 3rd. The singer went out to dinner with fellow teen heartthrob Austin Mahone, but couldn’t avoid his groupies at the end of the night. It must’ve been a good night. Well isn’t this just precious? Fashion designer Rachel Zoe hung out at a park in Beverly Hills, California on April 3rd. Of course she brought along her son Skyler, who we are kind of obsessed with, and her new baby boy Kaius. These two are just so cute together and we love it. 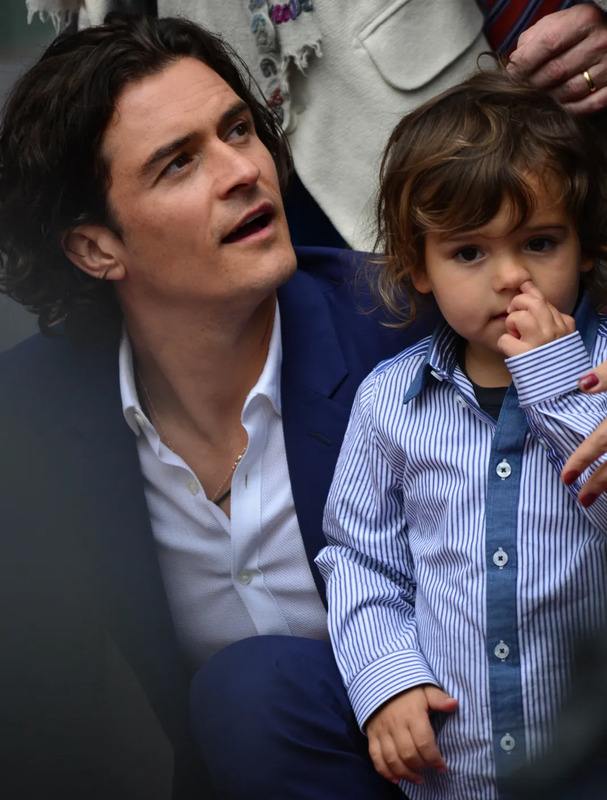 Actor Orlando Bloom finally got his star on the Hollywood Walk Of Fame in Hollywood, California on April 2nd. His adorable son came along for this epic moment in his dad’s life, and clearly felt very comfortable in the setting. We kind of love this photo a whole lot. Singer Lady Gaga was escorted by actor Bill Murray while filming a segment for Late Show With David Letterman in New York City on April 2nd. They do say that opposites attract, and the same thing goes for friends. We’re sure these three will continue to be the best of friends. Singer Enrique Iglesias appeared on the Spanish TV show El Hormiguero on April 1st. He even got the honor of showing off his massaging abilities on some lucky lady. As long as he’s enjoying himself!